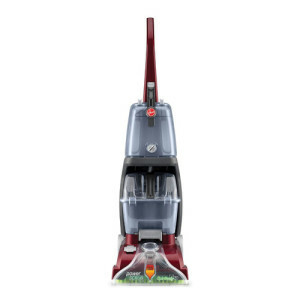 The Bissell Steam Mop line has two popular models, which includes the Bissell Steam Mop Deluxe Hard Floor Cleaner and the regular Bissell Steam Mop. If you have hardwood floors, you might want to opt for the deluxe model because it is only a few dollars more. 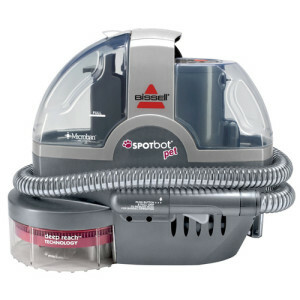 You can get either model for under a hundred dollars, which makes them an attractive cleaning option for those that have hardwood or ceramic floors to keep clean. 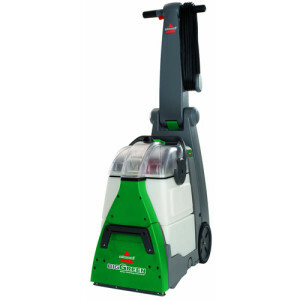 They are specifically designed as a lightweight steam mop for cleaning hard floors without chemicals through the water purification system. 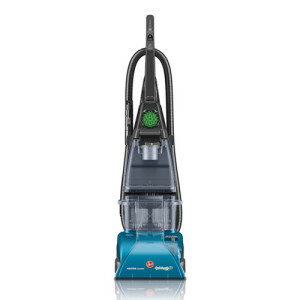 What are the advantages of the Bissell Steam Mop besides the obvious purpose? Of course, the price has already been mentioned, but for those with hard floor surfaces, it is an affordable and easy way to keep them clean. 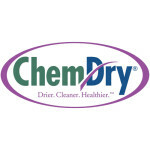 You don’t need any chemicals, making it perfect for those that have small children and pets. The steaming power is the most attractive feature of all. The machine heats up and is ready to use in 30 seconds. The hot steam removes the sticky and hardened spots of gunk, which most people have to scrub by hand. The ergonomic handle and the ability to get steam on demand are very appealing factors as well. The 360 degree swivel head makes it easy to get in tight corners and it is easy to hang it up. The Bissell Steam Mop only weighs 9 pounds. The ease and convenience of this mop are things that many users really like. The carpet glide feature and the eucalyptus mint fragrance water are also popular features. Your floor can be clean-smelling without too much fatigue or effort. 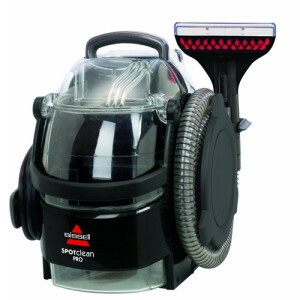 The 9 inch cleaning path and 20 inch cord length give you flexibility for easy cleaning and the water purification system prevents hard water spots that can occur from mineral deposits. Users claim it is better than other models that are offered by competitors because you aren’t just pushing the dirt around. 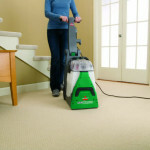 So what are some of the disadvantages of the Bissell steam mop cleaner? You need to let the water drain out and remove the tank after you remove the mop head. Those that miss this step might have a small puddle of water because the water needs to leak out. A towel under the unit is recommended. Some people think it is inconvenient because it only ejects steam on demand. This is to prevent your floor from becoming too water-logged. Some users weren’t crazy about the 2 pads that come with the unit, although the Bissell steam mop cleaner works fine.